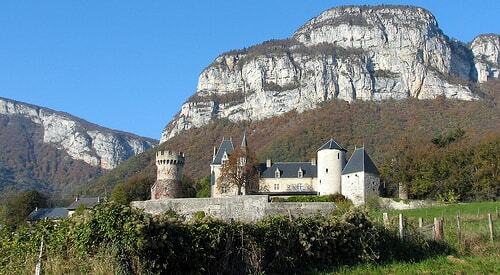 The castle was built at the foot of Mont Pennay, on a rocky outcrop, in a bend of the Leysse river. The Chateau de la Batie, its terrace and the lower floor which became the great hall, the chimney in the guard room and the Gallo-Roman mosaics, were listed on 6 April 1972 as a monument historique by the French Ministry of Culture. It is private property.